Each year, the Northeast Sustainable Energy Association (NESEA) organizes a FREE tour of homes and businesses that showcase innovative energy solutions. Last October, over 500 sites were toured by 16,000+ people! This is your opportunity to see first-hand the latest in energy-efficient technologies and renewable energy systems. 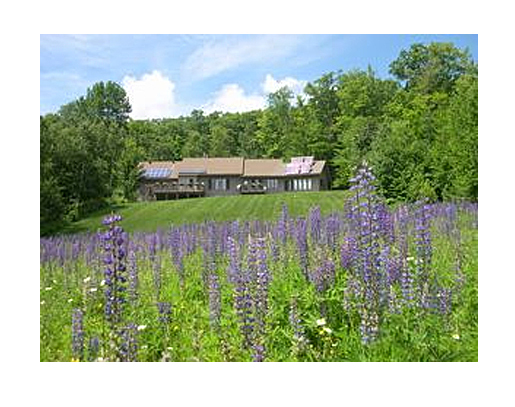 Learn about solar panels, geothermal systems, pellet stoves and other clean-energy solutions. Many homes and buildings also feature non-toxic, recycled and/or local materials, water-conserving fixtures, straw-bale construction, super-insulated structures, and amazing style and architecture. The tour takes place on Saturday, October 2nd. Visit the NESEA’s website to see pictures and profiles of tour destinations (like the one shown here, in Franconia, NH) in your area.